ABN has been active in developing formulation and stabilization technology for human probiotics for a number of years. With the increase in scientific knowledge related to the human microbiome and increasing consumer awareness regarding the benefits of probiotics, the demand for probiotics that can potentially provide improve gastric, immunological and neurological health. 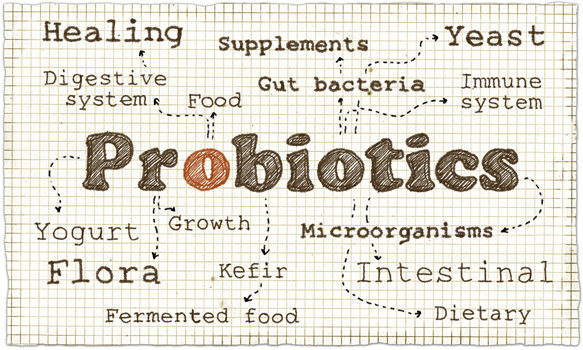 One important aspect regarding the use and benefits of probiotics is that the beneficial bacterial needs to be alive and colonize the gastrointestinal tract in order to achieve maximum efficacy and benefits. Thus, protection, stabilization and delivery of live bacteria is critically important. Over the years, ABN has developed a suite of technologies that can be brought to bear for use in the probiotics. The attached slide set illustrates some examples of how ABN technology can provide shelf life stability of probiotics in supplements, functional foods and also the important aspect of gastric stability.